Expedia has some Ibiza travel packages ready and waiting for you. Bundling your accommodations and airfares is one of the simplest ways to save cash on your adventure. Receive savings up to $200* with a package deal on Expedia. You don't need to search through a bunch of websites to secure your travel bookings. With more than 400 partner airlines and 321 000 properties worldwide, our comprehensive database has got it all. 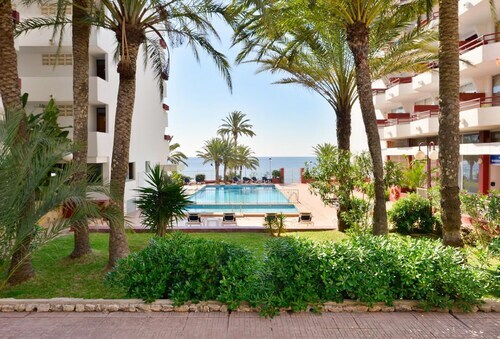 Getting ready to head off on your Ibiza holiday? Not sure what things to add to your travel programme? Don't stress — we're here to give you a few pointers. This city is filled with surprises simply waiting for you to uncover. Grab your selfie stick and strike a pose at Ibiza Castle and Las Salinas Beach. Visiting a region's monuments is a superb way to gain an insight into its accomplishments and history. Stop by Sacred Heart of Jesus Statue and discover the unique story behind it. Visitors in this destination have a great range of options. Check for tours at Ibiza Cathedral. When you're there, why not take a minute to close your eyes and indulge in some quiet meditation. Still have some time on your hands? Wanting to impress your special someone? Treat them to a leisurely stroll along the water's edge at Bossa Beach. Kicking back on a beach doing not much at all is pleasant enough, but there's nothing like diving into new and extraordinary experiences on your getaway! 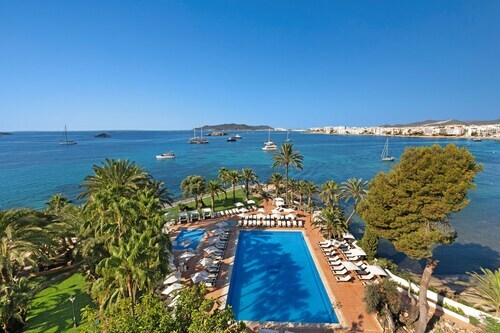 For even more options, check out our Ibiza things to do page. 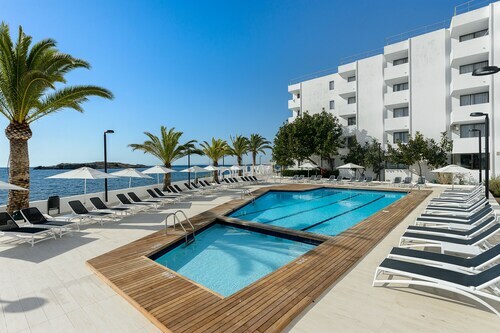 While Ibiza does have 91 accommodations to choose from, it's always better to secure a room beforehand. Not sure where to start? Expedia is here to help out with your luxury getaway or cheap holiday. 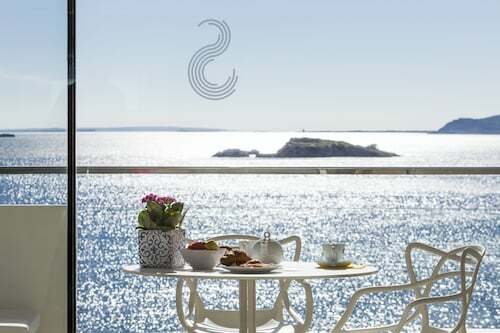 If you feel like living it up on the island, select from one of its more indulgent properties, such as the Rusticae Can Lluc Boutique Country Hotel & Villas (Cami des Terset) or the Ushuaia Ibiza Beach Hotel (Ctra. Playa den Bossa 10). 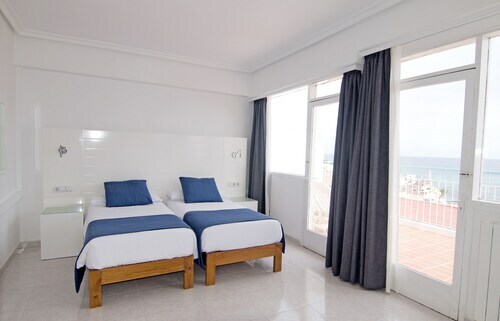 Alternatively, if you're after a bargain, the Apartamentos Bon Sol Los Rosales (Fray Luis de Leon 5) and the Apartamentos Lido (Av. Pedro Matutes Noguera 27) are two of the more popular budget-friendly options. If you're flying in, you'll probably be kicking off your adventure at Ibiza Airport (IBZ). After you've collected your suitcases from baggage claim and headed outside, downtown Ibiza will be 4 miles (6 km) away. Enjoy a relaxing day of swimming and snorkelling during the week or come here on a summer Sunday for one of the famous drumming sessions at sunset. A collection of buildings from the past 1,000 years crowns the Puig de Vila, all fortified by a Renaissance-era wall with views of the sea and the city. 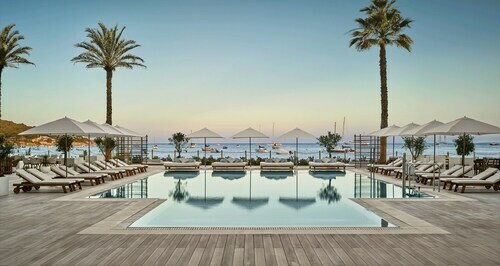 Coupling natural beauty with luxurious facilities and the chance to see a celebrity, a summer’s day on this beach epitomizes the Ibiza holiday experience. Spend time at one of Ibiza’s famed Blue Flag beaches and at the end of the day watch the sun set over Es Vedra island across the water. See and be seen at one of Ibiza’s trendiest beaches, where all the glamorous people of the world seem to gather all at once for a party that never stops. Come to this sweeping bay to relax at after exploring the historic quarter of Ibiza Town and before hitting the island’s nightlife scene. Spend some time admiring the yachts of the rich and famous before heading out for a classic dose of Ibiza nightlife on the Mediterranean. Small but clean, quiet room,and the bed was comfortable. Nice hotel, not expensive in all inclusive and great location. We stayed here for 3 nights and it was great experience, receptionist were outstanding made us feel very welcomed and taken care off. Sat., 7 Sep. - Thu., 19 Sep. Mon., 20 Jan. - Wed., 22 Jan. Tue., 30 Jul. - Fri., 2 Aug. 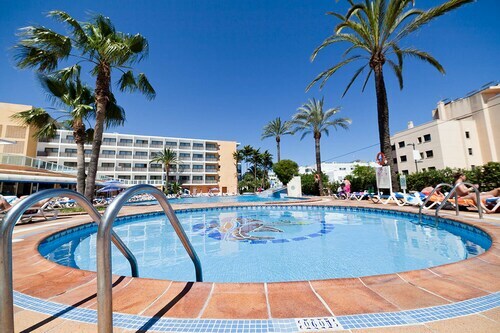 Looking for Flights, Hotels, Car Hire and Holiday Rentals in Ibiza?